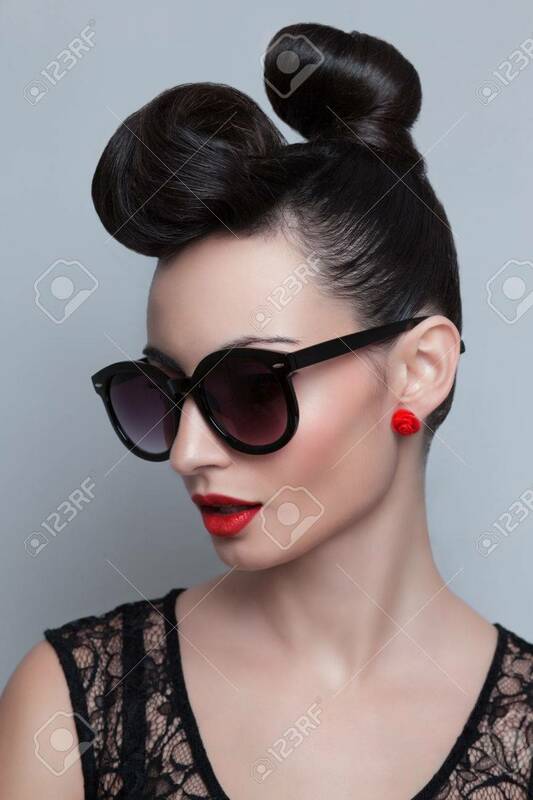 Fashionable Model In Trendy Sunglasses. Plastic Skin. Portraiture. Red Lips. Updo, Twisted High Bun. Top Knot Royalty Free Fotografie A Reklamní Fotografie. Image 26417326.